You know and love the SubPac. Now we introduce the man with the intuitive brains behind the product: John Alexiou. Picture John getting down at a warehouse party circa 1998 where he was first inspired by the SubPac concept. 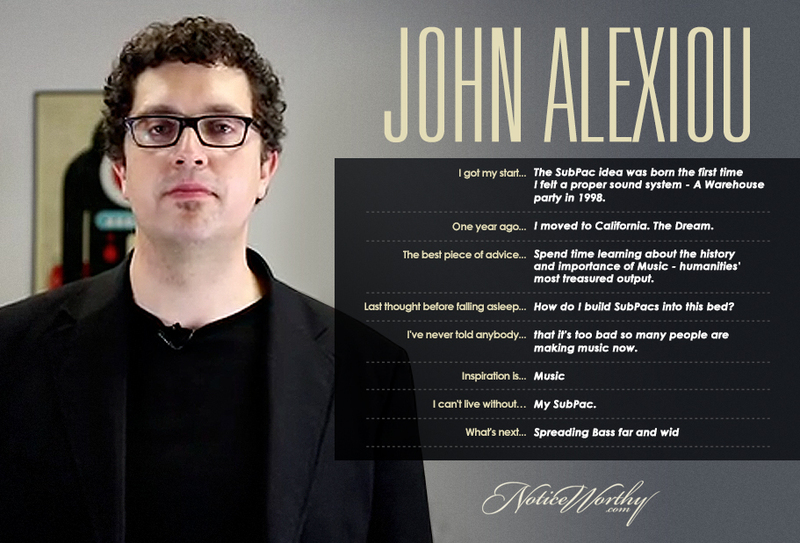 By taking the steps to make this pipe dream a reality, John has changed the recording game for producers everywhere.